Joshua Thomas McDaniels (born April 22, 1976) is an American football coach who is the offensive coordinator of the New England Patriots of the National Football League (NFL). In 2009, McDaniels was hired as the head coach of the Denver Broncos. At the time of his hiring, 33-year-old McDaniels was the youngest head coach in the NFL, although less than a week later the Tampa Bay Buccaneers named Raheem Morris, who is five months younger, as their head coach. McDaniels was fired by Denver after a 3–9 start in 2010. He spent the 2011 season as offensive coordinator of the St. Louis Rams, but he was released by the Rams for the 2011–12 NFL playoffs to serve as an offensive assistant for the Patriots in their run to Super Bowl XLVI. Recruited out of Canton McKinley High School by Greg Debeljak, McDaniels attended John Carroll University, where he played football, primarily as a wide receiver, from 1995 to 1998. Though a quarterback in high school, he was beaten at that position at John Carroll by Nick Caserio, who joined the Patriots staff in 2001 (the same year as McDaniels). His other teammates included London Fletcher, formerly a linebacker with the St. Louis Rams, Buffalo Bills, and Washington Redskins, as well as Brian Polian, the head coach at the University of Nevada-Reno, and Tom Telesco, general manager of the San Diego Chargers. McDaniels joined the Patriots in 2001 as a personnel assistant. From 2002 to 2003, he served as a defensive coaching assistant for the team, working with the defensive backs in 2003. In 2004, he became the team's quarterbacks coach. McDaniels was with the New England Patriots for all four of their Super Bowl championships, Super Bowl XXXVI, Super Bowl XXXVIII, Super Bowl XXXIX, and Super Bowl XLIX. After offensive coordinator Charlie Weis left the team following the 2004 season, the Patriots did not name an offensive coordinator for the 2005 season. According to The New York Times, in 2008, it was McDaniels who called the offensive plays for the 2005 season, although suggestions to that effect were made in 2005. After the season, McDaniels was officially promoted to offensive coordinator, while retaining his responsibilities coaching the team's quarterbacks. Starting quarterback Tom Brady suffered a season-ending injury in Week 1 of the 2008 season. McDaniels directed the Matt Cassel-led Patriots' offense as the team finished the season with an 11-5 record. McDaniels' tenure with the Broncos was marred early on by a controversy involving an alleged trade offer from the Patriots involving the team's quarterback, Jay Cutler, which would have sent Matt Cassel to Denver. On March 9, 2009, according to ESPN, a conference call involving McDaniels, team owner Pat Bowlen and Cutler failed to resolve the issues. Cutler said he did not trust McDaniels and the organization following the trade controversy. On April 2, 2009, the Broncos traded Cutler and a 2009 fifth-round draft pick to the Chicago Bears for quarterback Kyle Orton, first- and third-round picks in 2009 and a first-round pick in 2010. Following the 2011 season, the Rams fired Spagnuolo as head coach. While McDaniels was under contract for the 2012 season, the Rams informed him that they would not hold him to his contract, and would allow him to leave. 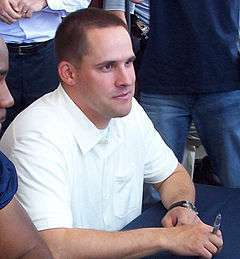 The Patriots then hired McDaniels to act as an offensive assistant coach during their 2011–12 playoff run, and to replace Bill O'Brien as offensive coordinator/quarterbacks coach for the 2012 season. O'Brien left the Patriots after the 2011 season concluded to become head coach at Penn State, but maintained playcalling duties through Super Bowl XLVI. During the 2014 season, McDaniels helped lead the Patriots to another championship, winning Super Bowl XLIX against the Seattle Seahawks. 1 2 Battista, Judy (2008-01-30). "Coach Follows Dream to Football's Summit". New York Times. Retrieved 3 January 2009. 1 2 Merrill, Elizabeth (April 29, 2009). "Josh McDaniels, the new coach of the Denver Broncos, has a definite Patriots way about him". ESPN.com. ↑ "Josh McDaniels". New England Patriots. Retrieved June 27, 2015. ↑ McDaniels role in focus Boston.com Reiss' Pieces. Accessed 29 September 2007. ↑ Pats assistant Josh McDaniels likely to be candidate for head coaching jobs New York Daily News. Accessed 6 September 2008. ↑ Trotter, Jim (2009-10-07). "McDaniels takes Belichick's lessons into Sunday showdown with Pats". Sports Illustrated. Retrieved 2009-10-08. ↑ "Sources: Broncos to hire McDaniels". ESPN.com. 2009-01-11. Retrieved 2009-01-11. ↑ "Broncos to Introduce McDaniels". DenverBroncos.com. 2009-01-12. Retrieved 2009-01-12. ↑ Gasper, Christopher (2009-01-13). "McDaniels takes reins of Broncos". Boston.com. Retrieved 2009-01-13. ↑ "Source: Jay Cutler's situation with Denver Broncos worsens". ESPN. ↑ Legwold, Jeff; Krieger, Dave (November 27, 2010). "NFL investigating Broncos' possible filming violation". denverpost.com. Retrieved November 27, 2010. 1 2 "Broncos, McDaniels fined $50K each". Associated Press. ESPN.com. November 27, 2010. Retrieved November 27, 2010. 1 2 Mike Klis (December 6, 2010). "McDaniels fired as Broncos coach after controversy, losses pile up". The Denver Post. Retrieved January 8, 2012. ↑ "Statements from Pat Bowlen and Josh McDaniels". Denver Broncos. November 27, 2010. Retrieved November 27, 2010.